Generally a house in multiple occupancy (HMO) is a property that has multiple individuals living together, whom share communal facilities such as bathrooms and kitchens, but who make up more than one household, as is often the case with student properties and house shares. Mortgages for multiple occupancy could then refer to either cases where a pair friends or larger group decide to take out a mortgage to purchase a residential property to live together in, or to cases where someone takes out a buy to let mortgage to purchase property that will be let on a HMO basis with either single or multiple Assured Shorthold Tenancy agreements (AST). Borrowers looking to buy property with one or more friends may find a joint tenancy is not suited to their specific requirements. As such they may opt to have a ‘tenancy in common’ agreement on their mortgage, this means that the holders of the mortgage are not treated as a single household. This means that each individual can have a different share of the property, rather than an equal division of ownership, this type of agreement may make it easier for an individual to sell their share of the property should they wish to move out. It also means that if one party on the mortgage were to die, other parties on the mortgage would not automatically inherit their share. Those looking to purchase an investment, buy to let property that will be let out to multiple tenants, not within the same household, may need to find a mortgage that does not preclude the landlord from letting a property on an HMO basis. Remember that landlords who do let HMO properties may need to contact the property’s local council to apply for a specific HMO license. The criteria for which properties need a HMO license can vary by local authority so it is worth checking with each specific one however, generally a property will need a HMO license if any of the following apply: it will be rented out to 5 or more individuals whom form more than one household, the property is at least 3 stories high, the tenants will share bathroom or kitchen facilities. Some councils will require landlords to obtain a license even if the property is smaller or will be let to fewer people. Borrowers looking to find either a residential or buy to let mortgage for a HMO property may benefit from using the services of an independent mortgage adviser. 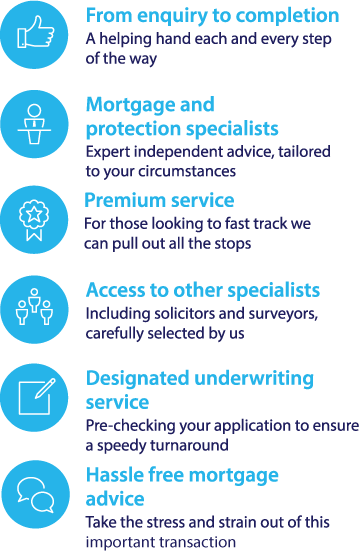 A mortgage adviser who offers a whole of market service can use their professional knowledge to search across a range of lenders, to try and find the best deal for their clients. There are also some mortgages from specialist lenders, that can only be applied for by an intermediary which in some cases may offer the best deal for a borrower.